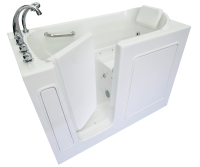 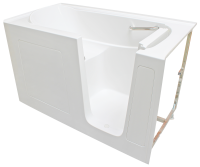 We offer an exclusive walk-in bathtub not readily available from other manufacturers or distributors. 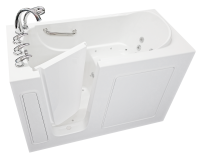 The B3355 extra-wide walk-in tub has a specially widened entryway and an extra-wide 24½-inch seat for added comfort. 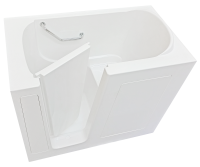 Customers are often surprised to discover the dimensions of this extra wide walk-in bathtub given the difficulty in finding bariatric bathtubs of this size. 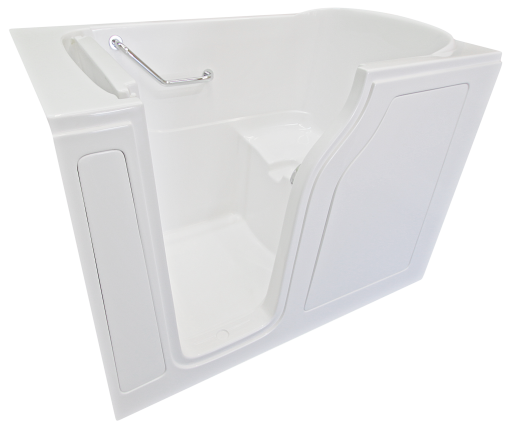 Additionally, customers can enjoy an easy entry through the 23½-inch wide doorway that is contoured to match the body’s natural shape. This walk-in tub is perfect for bathers with a full figure between 250-300 pounds who need the extra room from a bariatric walk-in tub. 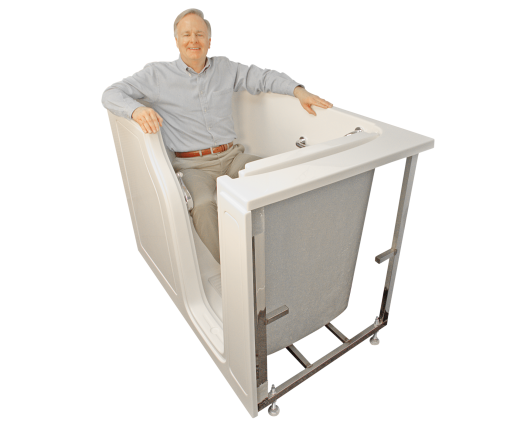 This model comes with a 5-inch wide extension kit that can fill in a 60-inch space or be cut to tailor the fit to less than 60 inches.